We are one of the premier driving schools based on the South West London/Surrey borders, serving in particular Morden, Sutton, Wimbledon and the surrounding areas. We are proud in the fact we teach the art of safe driving for life, not only to ensure that you get all the training needed to pass the driving test but to make sure your new found independence is a safe and happy experience for years to come. After all you will have earned it through your driving lessons. Our commitment by our driving instructors to all learner drivers in the Morden, Sutton and Wimbledon areas is to provide QUALITY driving lessons with a choice of manual or automatic car at an AFFORDABLE price. We are driving instructors who are pleased to cater for and tailor our driving lessons to those at all levels and ages of learner from complete beginner through to Pass Plus level drivers, including refresher courses and the re-education of existing qualified drivers. In addition to this, we are in a position to offer intensive driving courses to those who wish to take this approach to driving lessons, as opposed to regular hours over a longer period of time. 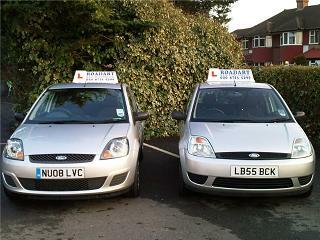 All driving lessons with us in and around the Morden, Sutton and Wimbledon areas will be structured to your individual needs and ability, assessed by our driving instructors, and will be on a one-to-one basis with the driving instructors, no car sharing unless you specifically ask to share with a friend. 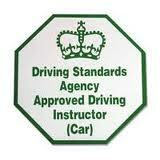 Your driving lesson time will last for the full time you have booked not a 40 or 45 minute lessons. For each of your driving lessons we will collect you from your house in the Morden,Sutton or Wimbledon areas, place of work, school or train station and drop you back at the end. At Roadart our driving instructors are fully qualified and registered with the DSA (Driving Standards Agency) and have undergone criminal history checks, giving you peace of mind and ensuring your driving lessons are never compromised. Below is a list of our current catchment area for our driving lessons… subject to availability. Morden, Sutton, Cheam, Belmont, Banstead, Merton Park, Morden Park, Raynes Park, Wimbledon, South Wimbledon, Wimbledon Chase, Colliers-Wood, Tooting, Mitcham, Worcester Park, Epsom, Ewell, Carshalton, Wallington, and surrounding areas. Whilst our primary areas are the Morden, Sutton and Wimbledon areas, if you don’t see your immediate area listed above please give us a call as we may still offer driving lessons in your area. We pride ourselves in the quality of driving instruction that we offer and encourage you to take a moment to read through the testimonials page of the website to see what past students have said regarding their experience of driving lessons with our driving instructors in the Morden, Sutton, Wimbledon and surrounding areas. If you would like free expert advice or would like to book driving lessons in the Sutton, Morden, Wimbledon or any of the other areas we cover, please call Claire or Lance on 020 8715 5299, we’re here to help.